The traditionalist group in the Scottish Episcopal Church joined forces with Forward in Faith in 1997. Forward in Faith – Scotland is governed by a Sub-Committee appointed by the Council of Forward in Faith, under the leadership of an Acting Regional Dean for Scotland. 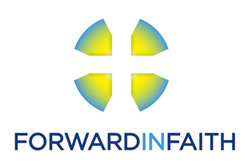 Click here to find out more about Forward in Faith – Scotland.